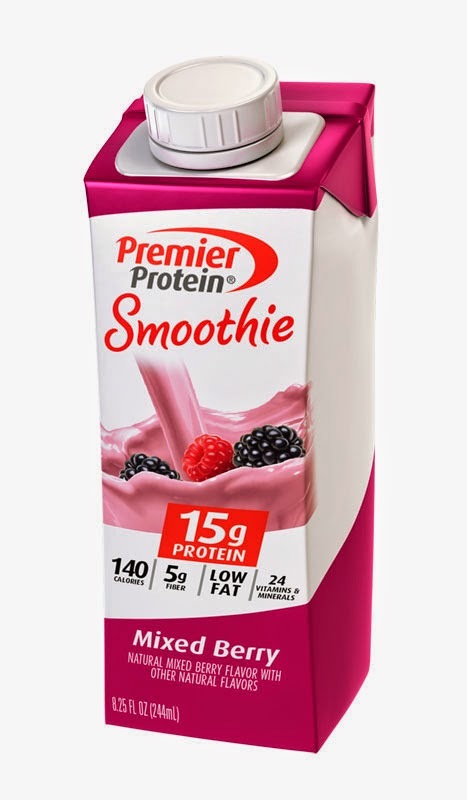 I was sent the Premier Protein mixed berry smoothie to try. I have tried Premier Protein products in the past and my husband especially was a fan of them. They are quick protein drinks that are not too high in calories but give you that boost of protein you may need. One 8.25 oz container of these drinks contains 140 calories, 15 grams of protein and 5 grams of fiber. It also has 60% less sugar than other refrigerated protein smoothies. It is made with soy protein and whey protein. I generally believe that it is best to get your protein from real food sources but life can get pretty busy and I use protein powders and protein drinks at times, especially after a workout. I am now 6 weeks postpartum and starting to exercise a bit more than walking. I have been doing a combination of a few minutes of running per mile and the rest walking. This has been working well for me. After my workout, I had not had breakfast yet and needed something quick, tasty and filling. 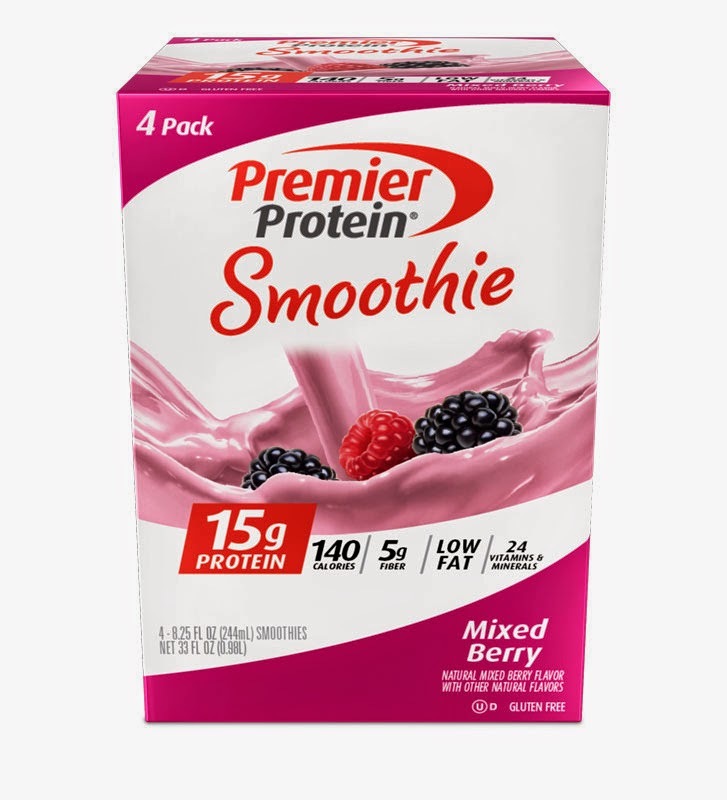 I decided to make a mixed berry smoothie using this mixed berry flavored Premier Protein drink. It turned out great! Directions: Simply blend all ingredients together. Note: the blackberry seeds may not blend completely but will settle to the bottom so you aren't crunching on seeds. I enjoyed the addition of the Premier Protein drink. A lot of times, I feel that I do not get enough protein in my diet and this is a good way to get some quick protein. 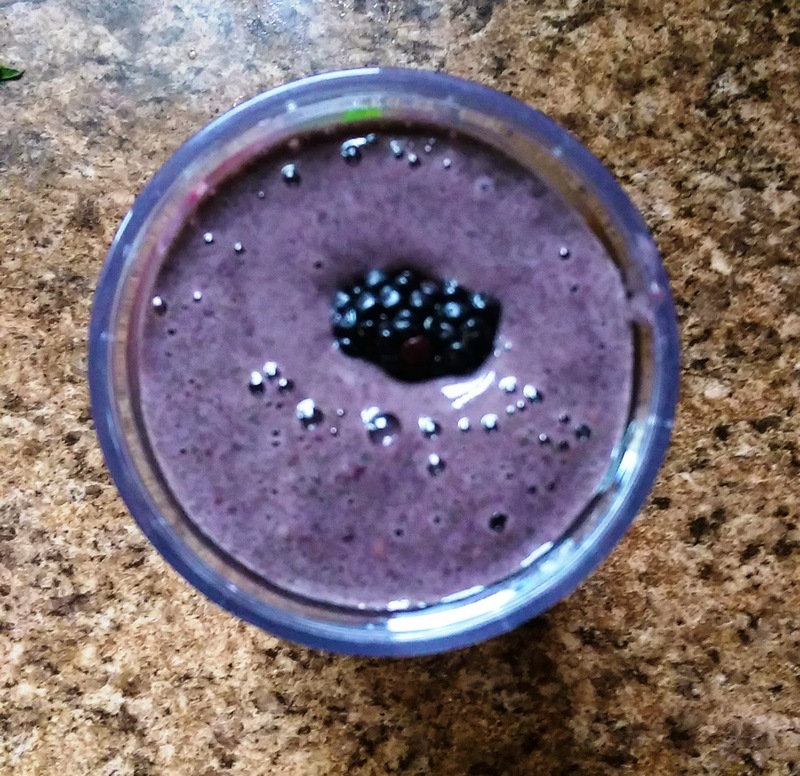 To try this smoothie for yourself at a discount, use this $4.00 off coupon at Kroger or Meijer. I've only had the chocolate flavor...but the mixed berry looks look. I'd like to try it. I was really surprised how tasty this was since I find that most protein drinks don't taste that great. Great idea on throwing it into a smoothie! YUM I love what you've added to it! Can't wait to try it! I enjoyed the Mixed Berry flavor on it's own but I was thinking I might add banana & frozen peaches to it. I like the combo you did! Yum! The smoothie idea is perfect. I'd definitely add some spinach and avocado to mine! great idea mix it with fruit! Yum! I need to try creating a smoothie next time. Such a good idea to blend it in with fruit -- it's probably a GREAT base.